Apple is allegedly working on an iPad Pro measuring around 11 inches, according to a Taiwanese report, which also quashed the idea of any imminent iPhone SE refresh. The 11-inch Pro -- and an updated 12.9-inch model -- are likely to launch around Apple's Worldwide Developers Conference in June, the Chinese-language Economic Daily News said. 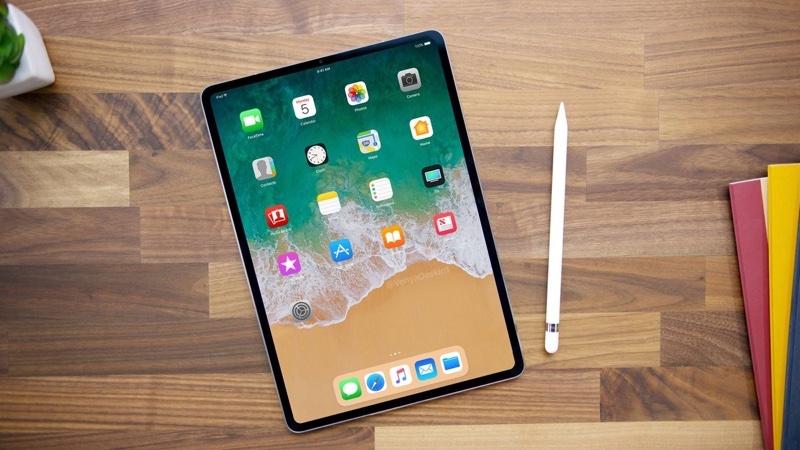 It's unclear if the site might just be referring to an updated 10.5-inch Pro, but the shipping window would align with an investor memo by Rosenblatt's Jun Zhang, and last year's Pro refresh. An 11-inch format might make sense, given rumors that Apple plans to remove home buttons on future iPads and move to Face ID, as on the iPhone X. That would enable smaller bezels, and hence more display space. At the same time, EDN has an unreliable track record on product specifics, and Apple could simply shrink bezels while keeping display size the same. The site also claimed that Apple won't ship any new iPhones in the first half of the year, which is when an "iPhone SE 2" has sometimes been rumored as shipping. The SE first debuted two years ago, and crammed many features of the then-current iPhone 6s into a smaller 4-inch format. I see no reason to have a 11" iPad Pro. The 10.5" and 12.9" sizes are good as it. A 11" version between them seems not worth it. As in silly. You only want your bezel so small, otherwise you have no place to grab only it without your hands all over the screen. I don't see how that's a good thing. I do love my 12.9" iPad Pro I got this last Nov. You think it would be to big to bring around and it's not. Glad I ended up going with the larger one. If it ends up with FaceID, Please, No Notch on it!!! I'd love to hear Jony Ive say, "We crammed as much stuff as possible into this incredibly thin and light design." If they're narrowing the bezels of the 10.5" to make it 11", then are they not doing the same for the 12.9" to make it around 14"? That doesn't appear to be the case for the fall phones. The fall lineup at this point appears similar in magnitude to the 8, 8 Plus, and X. Add an SE-sized unit, and that's four. I'm ready for the SE2...not experiencing the sluggishness of iOS11, but then I'm not a heavy user. Will definitely, be looking at the 11" iPad. Big fan of iOS and may even considered selling my 2017 MacBook and just go all in with iOS! Probably run them in tandem for a few months. Sounds unlike them to create all the tooling for the display and assembly and everything for the 10.5, for only one round. Seems weird. 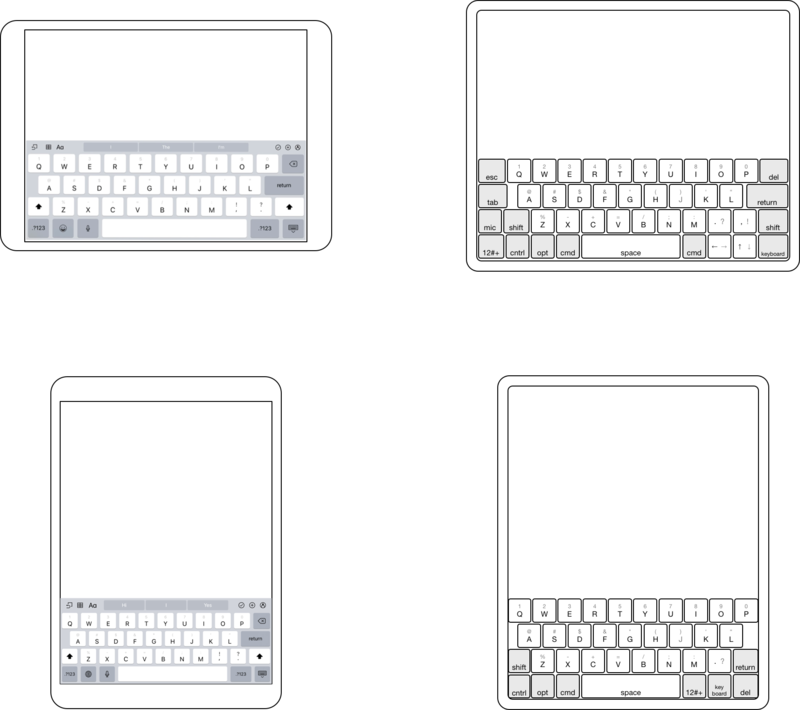 Or maybe ideally, the budget iPad just gets the 10.5 production line while the Pro loses more bezel for 11. Can't wait for the event! What runs sluggishly for you? The battery replacement brought my SE to within a hair of its original speed and feel, even in iOS 11. It's not a huge problem, but continuously adding new form factors creates additional costs for customers who have accessories like covers, cases, and connected keyboards that they'd like to reuse. Covers are one thing, but the $150 cost of a smart keyboard is kind of non-trivial if it ends up sitting in a drawer. On the other hand, you don't want to stifle progress. I know some folks hate bezels of any size but I actually like having enough bezel to allow me to comfortably hold a device without touching the screen with my fingers. Apple devices in particular are very slippery little devils without cases and keeping the screens clean is a constant problem. I drew this up last year. I would like to have iPad Pro tablets with 12” and 15” 5:4 aspect ratio displays. Here’s what the 12” would look like. The width in landscape would be the same as the current 10.5”, but would be 1.2” taller. I use my 10.5 flat on a table with the onscreen keyboard all the time, and having more vertical screen real estate would be better imo. This rumored 11” won’t be much different from the 10.5. It’ll have the same width in landscape as the 10.5, but have thinner bezels. The height will have to increase by 0.5”. I am pretty sure if there is an 11" iPad, it will replace the 10.5". However, if they go thin-bezel + FaceID on it, I WANT the notch. I find it unique, edgy, and oddly satisfying. The two "ears" nicely encase separate functions and information. There could be a few UI improvements to further streamline the presentation, but I love how the inert statusbar has suddenly become alive and interactive. The may just kill 10.5" version for this 11" bezel less iPad with Face ID. Who knows? I'm more interested in the 12.9" iPad Pro version with Face ID...maybe it becomes 14". I doubt that Apple will use the notch on the iPad. There is no reason to go bezel less on iPad. They may just shrink the top and bottom bezel enough for front camera and sensors. I expect 1/2 thickness or thinner of current bezels on the new iPad. It's not a huge problem, but continuously adding new form factors creates additional costs for customers who have accessories like covers, cases, and connected keyboards that they'd like to reuse. Covers are one thing, but the $150 cost of a smart keyboard is kind of non-trivial if it ends up sitting in a drawer. It will be A11X SoC, not a wimp A11! Really to buy a new iPad if has HD display or better! It does. Has for a while. I'm completely happy with my first generation 12.9 inch iPad Pro, for the near term anyway, so what I'm waiting to see is performance benchmarks. I want to know how close we are to having an ARM laptop, with or without the capability to run X86/x64 Windows. This report has me all hot and bothered right now. I have a 10.5 pro and I love it.... however, I am dying to see what 11 and 12.9 or 13" without bezels and faceID look like. If they go with a 12.9/13" display and reduce the size on the new larger model (by way of eliminating bezels), I may jump all over that. Actually, I will probably be jumping on one or the other either way, but anxious to see what they do.... I am ready for bigger screens and zero bezels.